A mudra, is a specific hand gesture, or position, that helps in the release of energy locked within the body and directing its flow and reflexes to the brain. 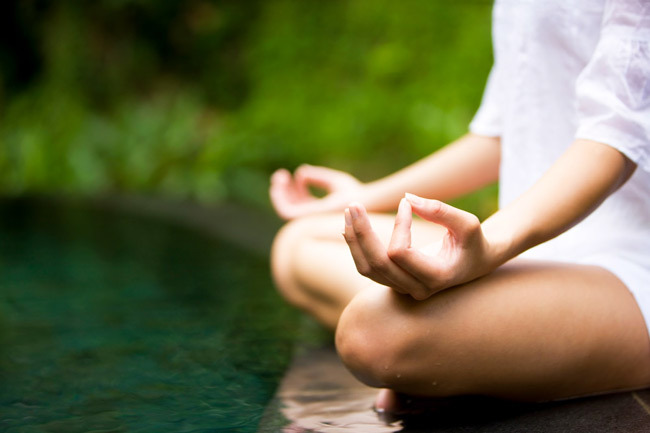 Mudras are known to alleviate a host of ailments such as asthma, depression, piles, cough, diabetes,stress, cataract and even a heart attack – to name just a few. When the hands are placed consciously in a particular configuration, the neuronal circuits are stimulated for a prolonged period of time which reinforces the specific effect of the mudra on the brain. The circuits stimulated are brought into the sphere of conscious awareness. Repetition over a period of time, say weeks or months, makes this subtle action more conscious, that is, we become more and more aware of the effect. Thus, the mudra gains power and brings knowledge. The body is made up of five elements, viz., water, earth, akasha [ether], air, and fire, which are represented by the little finger, the ring finger, the middle finger, the index finger, and the thumb, respectively. Imbalances in these elements upset our immune system and cause various ailments The joining of two or more fingers to form hand mudras, and holding them in a certain fixed pattern, creates balance for the five elements, following which healing ensues. As the five fingers are associated with the lower five chakras, the right positioning and holding of the fingers together in a specific pattern brings balance. The body, thus, gets energised, diseases get healed and, gradually, spiritual awakening is experienced. Weak eye sight, frequent headaches, burning sensation in eyes, eyelid hair loss etc problems can be cured by simple mudras. Popularly known as Prithvi-shaamak or Surya mudra, this mudra increases the Agni (fire) element within the body. It is, therefore, called Agni-vardhak mudra, too. At the same time, this mudra decreases the Prithvi (earth) element with in the body. The element agni is connected with vision. Hence, regular practice of surya mudra helps to strengthen weak eyes and improve vision. Sit straight with knees folded and palms stretched out on knees. First place the tip of the ring finger on the base of the thumb and then bringing gentle pressure of the thumb upon this finger. This amounts to suppression of element earth (residing in the ring finger) by element fire (residing in the thumb). The earth element thus suppressed, fire is able to rage unopposed. Extend all the other fingers and keep them comfortably straight as possible. (both hands). 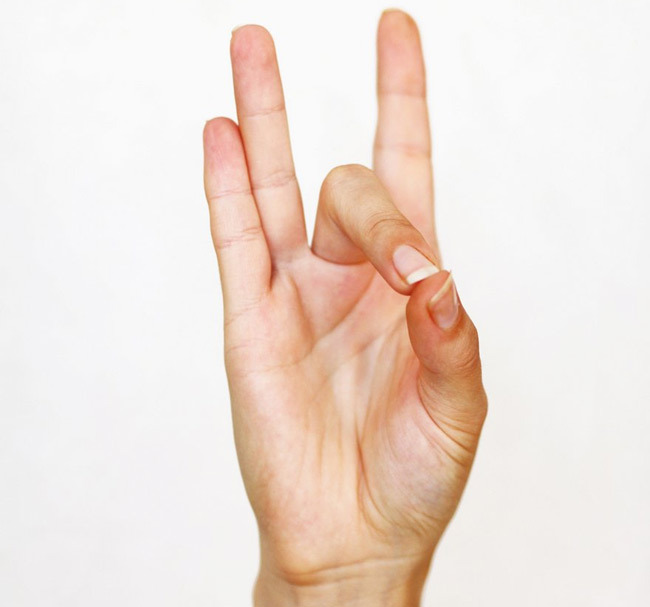 Try practicing this mudra for at least 10 minutes, thrice a day. Coldness of skin, body, limbs, hands, feet, etc. Note: Over performance of this mudra may cause undue heating of the body.